My dad was stationed in Texas. 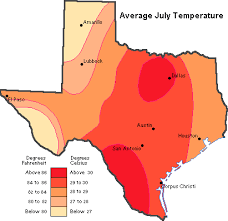 He didn’t talk a great deal about his experiences, but I was able to discern this much: 1) Texas in 1944 was hot. The only air conditioner on the base was in the officer’s club. My dad was not an officer. 2) Soldiers were required to carry a gas mask in a backpack with them at all times. My dad felt strongly that the Axis powers were not going to attack Texas. So he did not carry his gas mask in his backpack with him at all times. Instead, he filled his backpack with poetry books. While the other young men did what other young men do, my dad read poetry. He learned Robert Herrick’s Whenas in Silks My Julia Goes; William Shakespeare’s Sonnet 29 (When in Disgrace with Fortune and Men’s Eyes); and Ozymandias by Percy Shelley among a great many others. I imagine the air conditioned officer’s club would have been his first choice, but poetry books seemed to work out well enough. 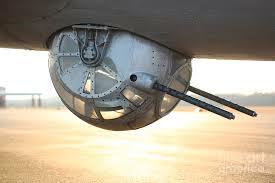 My dad may subsequently have forgotten how to fire machine guns out of the ball turret underneath a B-17, but he never lost a line of those poems. When he met the woman who was to become my mom, he recited some verses. They dated for almost three full weeks before determining they should be married. I’m not saying that poetry had anything to do with their decision, but that union did last 63 years. On my dad’s 85th birthday, he and the dozen other members of his poetry group got up to read a sonnet. My dad accepted a paper on which the 14 lines were printed and glanced at the words. Then he handed back the paper. Without disdain he said, “I don’t need this.” He recited flawlessly. 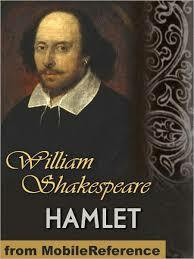 To honor my father’s memory, I have been learning a few poems and some Shakespeare verses. Poetry doesn’t seem to be a whole lot more popular in 2018 than it was during the Second World War. 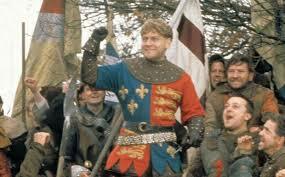 A brief census suggests that nobody wants to hear the "St. Crispin’s Day Speech" from King Henry V or even “Casey at the Bat.” I have therefore only recited these lines to my running buddies and then only after we have put in six or eight sweaty miles. I like to believe that the willingness of my fellow plodders to listen to “The outlook wasn’t brilliant for the Mudville Nine that day” is based on interest. The reality might be that they are just too exhausted to complain. They are certainly in no condition to run away. Of course I think of my dad when I’m reciting. What will your kids be thinking of down the metaphorical road? What are we doing in the lives of our children to “make memories”? What will our kids remember of us when, in the fullness of time, their generation takes precedence over ours? Dashiell Hammett and Humphery Bogart taught us what dreams are made of, but of what will the memories be made? What stories will our kids tell about us? How will we be recollected? Admittedly, it's hard to plan for half a century from now. Dinner needs to get on the table today, toys need to be picked up now, and carpool has to be arranged. Just the same, failing to plan is planning to fail. 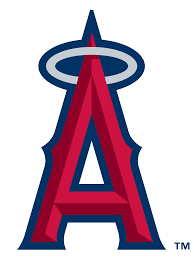 Let’s consider which of the following questions is likely to have our kids honoring us when our season has ended and we have been traded to the angels. Join me, dear readers, in pausing to consider how to be the best parents we can. I’m pretty sure poetry and hiking rather than trips to the mall and violent video games is part of the answer. I know my dad—Ball Turret Gunner Altshuler, 1924—2018, would agree. Click Here for the text of the St. Crispin's Day speech from King Henry V. Scroll down to the bottom of the link to watch Kenneth Branaugh recite. Or join our running group for a few miles one early morning. 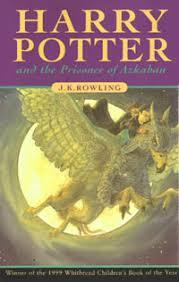 I'm no Kenneth Branaugh but it would be my great pleasure to do the best I can. A few miles in, we can even swap stories about what our dads did in the Second World War. Please accept our condolences on the death of your dear exemplary Dad. He lives on in you. Tom also knows and recites poetry ….and learns new poems. We are so grateful that you are in our lives. And, now that my children are grown, I realize the issue is not only what I want them to remember but what I want to remember. While I have a few memories of fussing about grades, homework, messy rooms, and mud tracked on the kitchen floor, I am so thankful to have more memories of riding bikes together, hiking, giggling in the night, running 5Ks, building forts, climbing trees (yes, both of us), and together cleaning up the messes we had made together. My father’s poetry was jazz. Sunday afternoon was Benny Goodman, Tommy Dorsey et.al. accompanied by an amazing array of air instruments. Having had a great dad is part of what makes being ”traded to the Angels” so shattering, I think. I am sorry to hear of your dad being traded. I hope your memories will still make you smile. Thank you, Barbara. It sounds like our fathers would have gotten along beautifully. I am grateful for your kind words. David great read. I was imagining sitting in your living room perfecting the theorem’s of Pythagorean, your father, even your mother interceding on rare occasion. It seems like the proverbial yesterday. I can’t believe you got to enjoy your father’s presence through this very year! It is now more then ever that I seek my father’s guidance and could only wish I could get an answer. Your post has so many meanings. While I don’t possess the academic proclivity of say, an Altshuler I somehow manage to understand that the ‘be-there a lot dad’ will override my often lacking capabilities of father of the year contender. Thank you for sharing as always. Yeah, Man. Take it to the bank: Being there as a dad trumps every other variable. Money, erudition, travel, education, all take second place to a dad who is emotionally available. Has it actually been 35 years since I had the pleasure of giving you a few tips on exponents? 🙂 You’ll be pleased to know that my mom still has that same kitchen table! Glad you reached out. Thanks for reading. Love to the family.